*BOOKING NOW CLOSED* Please click here for the map of the event venue. PLEASE NOTE: The event will take place in the Norfolk lounge. As the Southern North Sea matures decommissioning is now a reality for many operators and is certainly on the radar for others. 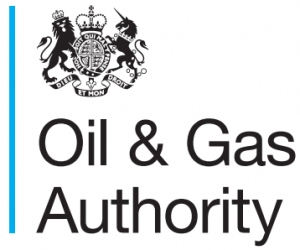 Estimated decommissioning costs for the UK side of SNS published by the OGA are in the region of £7bn with the Netherlands forecasts also significant. For operators decommissioning is an expense, with no profits therefore working collaboratively with other operators and key stakeholders will be essential to help reduce these burdensome costs. Know-how, innovative solutions and technologies will be vital, and these reciprocal events are a major Southern North Sea effort to bring Operators and Supply Chain companies together to collectively come up with the best solutions to lowering decommissioning costs. The UK Hackathon will feature presentations from UK & Dutch operators including Shell, Spirit Energy and Oranje Nassau who will each share their current challenges in decommissioning followed by interactive sessions to discuss potential solutions. A number of the key challenges will be shared prior to the event and undoubtedly many more will emerge during the interactive sessions. These discussions will be captured and shared with attendees, and will be an invaluable source of information to the supply chain providing guidance and direction as to what areas of innovation their potential clients are looking for. It will also be a unique opportunity to make new operator contacts across the wider UK/ Netherlands basin. There is an acceptance many cost saving solutions lie with the contractor community and these events have in the past proved effective in bringing together service companies with potential clients to highlight their innovative and problem-solving approach. This is an invitation only event with limited spaces so please respond completing and returning the form (which can be found on the event page by clicking the links shown below). As mentioned above there will be interactive sessions and it will be important that attendees will have the relevant expertise to discuss their solutions/ideas articulately with the operator project specialists. Please complete the form with how many participants you wish to send, their name and area of expertise/job title and what they can bring to the event which will be free to attend. The Netherlands event is by Nexstep invite only. Challenge: What new alliances can be formed and who should be in the lead for what? What can service providers offer and which role can they play in a more differentiated landscape of contractors with external expertise? Challenge: Which commercial models are best suited to cater for surprises in execution in P&A while maintaining a win-win situation? What is the best risk distribution between operator & contractors? Traditional commercial models are difficult the incentivize contractors due to these risks. With day-rate models more scope is in principle good news for contractors and bad news for operators, alternatives do transfer risk to the contractors. When transferring risk – what control can be given and how to prevent risk is impact prizing. Vessel costs are high due to a captive market, available time slots. Almost impossible to Lumpsum works due to the nature of the operations and the degree of change that is encountered, even with a young asset. The cost to mobilise a DSV for a small flushing scope or a Jack up for an individual P&A is almost cost prohibitive. Missed opportunity to conduct works in the downturn. Opportunities to tie in with larger field decommissioning scopes being undertaken by larger operators makes economic sense. Lack of Lessons Learned. Execution efficiency and continuous improvement is reduced due to small work scopes. No set UK or global Strategy as we are a new company with limited assets requiring decommissioning. Not enough work to create a portfolio plan. Cost assessments are not based on analysis of actual technical data but initial project estimates using industry rules of thumb. Decommissioning competes with other, more exciting activities such as exploration, development, and even late-life asset ­operation. MER. Due to the long drawn out nature of decommissioning a team is sometimes required for a long duration for what is a relatively simple scope. Large amount of regulatory paperwork needing constructed by specialist 3rd party companies. Not particularly value adding. Time taken to get partner approval and also methodology by in from Stakeholders such as the NFFO & Public. Cost for Decommissioning licences – Flat fee. Spending with no return so Management and stakeholder approach can be restrictive. Challenge 7: How can a small operator de-risk its abandonment? How can we control costs? How can we control future liabilities? Challenge 8: Can we make decommissioning a MER UK business case? After an assets useful oil/gas producing life, is there a re-use option? Can abandonment and production complement each other? How can we incorporate the energy transition into abandonment? Challenge: How can we reduce the critical path without increasing resources and increasing the safety risk? We can ‘harvest’ the topsides and jackets at a time that’s right for us, i.e. coordinate with other fields, when unit costs are cheaper, etc.